Michigan Down Payment Resources – Always A Good Topic! If you are curious what kind of downpayment help might be available for you, we have a service that will search the various current Michigan programs available. We have helped quite a few buyers over the years with the different assistance programs. Beneficial options on the mortgages. Usually you be eligible to receive these benefits if you haven’t owned a home in the last three years. There is often a limit on household income and there are often limits to the locations with many of these programs. For example there usually more options in rural areas like Chelsea, Hartland, or Manchester than there are in areas like Ann Arbor or Plymouth. There are some scam sites offering this type of service, our source is legit. We are the top buyer agent brokerage in South Eastern Michigan. If you are looking for an exclusive buyers agency, (Exclusive Buyer’s Agent) we would love to talk to you! House Officers Getting Bad Information About Mortgages? But, when you are buying a home you only need one mortgage, and if you are a physician here for your residency then relatively easy zero downpayment options are still available. It will take some preparation and there are some limitations, but in general the Midwest Financial Credit Union is still a good option. Note: These loans are specifically for physicians, so they are not visible on the credit union’s website. AVONDALE, Ariz., March 31, 2009 /PRNewswire-USNewswire via COMTEX/ — As fewer transactions are split up between a relatively fixed number of real estate agents, those agents are using whatever tools they can to hold on to home buyers, in some cases against the buyer’s will. One of those “tools” is an outdated industry secret called “procuring cause,” and it is frustrating many of today’s home buyers, according to the home buying specialists at the National Association of Exclusive Buyer Agents (NAEBA). Procuring cause is an industry term that describes the ability of any agent who showed a buyer a home to claim that they should be paid if the buyer eventually wants to buy that home. Many buyers get “married” to agents who show them a property without ever knowing it. Charlie and Meg Bear, of Acton, Massachusetts, are like many buyers in today’s market. When they started house-hunting, they went to the Internet. Click … they found a house to see; click … they sent a request to the listing agent. At the second house they saw this way, the agent who showed them the house disclosed that he was a “buyer’s agent.” He was the husband of the listing agent. Charlie did not want a buyer’s agent who was married to the listing agent. “This disclosure is not a contract” was clearly on the form. Meg signed the form; Charlie did not. Time went by. Charlie and Meg hired Connie LeDuc of Authentic Home Buyers Brokers in Southborough, MA. When they eventually decided to make an offer on that home they saw through the Internet, confusion reigned. The “buyer’s agent” did not want Connie to represent Charlie and Meg on his wife’s listing. The listing agent, his wife, was all for getting this home sold to the Bears, but her husband insisted that he was their “buyer’s agent.” After much negotiation between the brokers, the Bears bought their new home. What did Charlie and Meg Bear learn from their experience? “People like us don’t know they should find their agent before they find their house,” says Charlie. The National Association of Exclusive Buyer Agents was founded in 1995 to help consumers become educated home buyers. NAEBA is a nonprofit organization whose purpose is to be the “champions of real estate buyers’ rights and representation.” NAEBA offers industry standard certifications, ongoing education, client referral services, technology, and information sharing. The NAEBA Code of Ethics pledges undivided loyalty to real estate buyers only. For the name of an Exclusive Buyer’s Agent in your area, visitwww.naeba.org. When you think about it the idea that a wife can be a seller’s agent and the husband can be a buyer’s agent on the same transaction is a complete scam. Why don’t those licensees admit that they are dual agents or non-agents and stop destroying any confidence that consumers might have in the profession. If you are looking to buy a home and you don’t want to expose yourself to this kind of nonsense we can help. We serve the Ann Arbor – Brighton – Plymouth – Novi – Canton – Ypsilanti areas in Southeastern Michigan. And we can guarantee that you will never be stuck with designated agency, dual agency, or non-agency. We will always be your buyer’s agent! Call us today at 734-662-6240 to talk about how we can help you achieve your home buying dreams! The Ann Arbor MLS System Is Going Crazy Today! It is funny how much we depend on technology in the Ann Arbor real estate business these days. Today the MLXchange system was crashing a lot when I tried to look at some detailed property listings. To the point is was almost unusable. So I decided to take a break and catch up on some email. Just now I received an automated email of a price reduction that sounded too good to be true. It is a West Ann Arbor home that would be priced around $245,000 and the price noted was $125,000. So, I pulled up the complete data and sure enough it looked like there was a big price reduction. Well the listing agent is someone I work with a lot and she is normally very professional. As I looked at it closer something didn’t make sense so I decided to call her and see if it was just a typo she would want to fix. It turns out she knows nothing about a price reduction! It would appear that the MLXchange system reduced the price without human intervention! It is funny what you learn and when you learn it in the real estate business. As an exclusive buyer agent I’ve been been in thousands of homes with new or updated windows. In fact window discussions are very common for us because it does have a significant impact on the quality of living in a home. I know a lot about windows. But I learned a bit more today. As it turns out my wife and I are looking at doing some remodelling and we met a window contractor at our house today. I’ve worked with a lot of contractors over the years and probably met with a dozen or so just in the last month for one thing or another. Today I had the pleasure of meeting Connie Moore of Wallside Windows. Wallside was referrred to us by one of my past home buyer clients who had them do some work ten years ago. When it comes to closing fees do you have a “Gutless” buyer’s agent? However in our experience few agents will actually help a buyer negotiate anything other than the purchase contract on the house. Twice this month listing offices have wanted to close at their related title company. I sometimes have a problem with this which puts me in a position opposite the listing office and the title company. What is the difference between Buyer Agency and Designated Buyer Agency? This question comes up often. I’ve never found a consumer who understood it and the vast majority of real estate agents and brokers I’ve spoken to don’t really understand it either. After years of teaching it in home buyer classes I’ve found that diagrams make it much easier to understand. The other thing to understand is that a consumer’s legal relationship is always with the broker or brokerage, never with the salesperson directly. In fact, it is illegal for a salesperson to take compensation directly from a consumer. The relationship is with the brokerage and any compensation must be paid to the brokerage. Note the buyer is blue, and everybody in the real estate office is also blue. They all represent the buyers and have requirements of loyalty and full disclosure to the buyers. Moving is usually a challenging and time consuming effort. 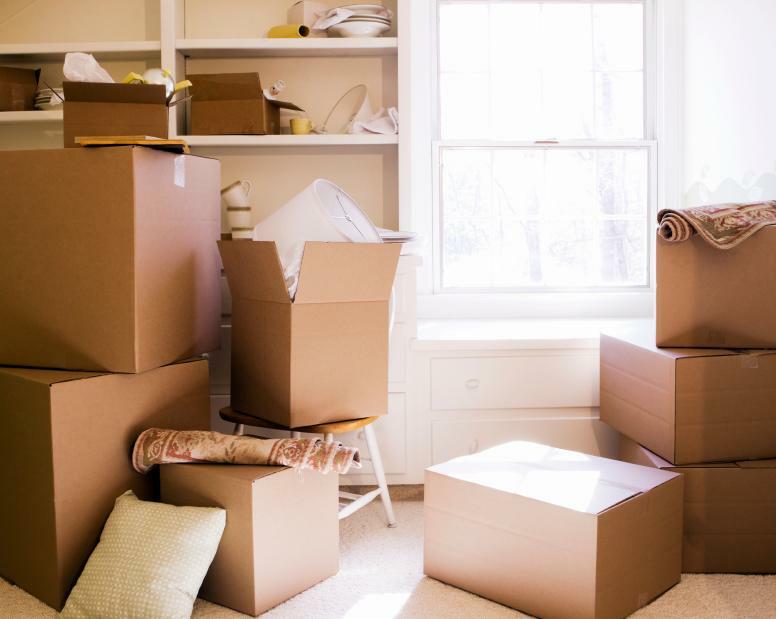 These two tips will probably help anyone moving a home or office save time, stress, and money. In our many years of helping home buyers we’ve found two things that most movers need to make a transition from one home to another. These things usually are just needed for a few days to a few months. They are moving boxes and extra storage space. This article will let you in on some of the very best options for both of those two items. Moving boxes always seem to be in short supply. Even if you are having professional movers pack your belongings you may still want to pack some things yourself. A basic small 12X12X16 moving box can cost as much as $6.00 if you buy it at a office supply store. Larger boxes can cost a lot more. What you probably don’t know is that Home Depot has amazing prices on moving boxes. I assume that they made a strategic decision to price moving boxes about at their cost to bring in new business. Home Depot’s small box is just 67 cents! Their large 18X18X24 box is just $1.37. They also have a medium sized box that is priced under a dollar. These boxes are priced less than used boxes in most areas. After you are done with the boxes you can advertise them on Craigslist and people will be happy to take them off your hands. Since the market price for boxes is so much higher than what Home Depot sells these for you could probably sell these boxes used and almost break even. During a move there are often times when you can’t quite filter through everything you have in a time frame to match when you need to move. You can often benefit from moving some storage type items into somewhere other than your destination. Here is the trick: You can often get the first month at low cost or even free when you lease a storage building and most leases are month-to-month! As an example when we moved our office recently we needed some extra space for desks, files and such for about 6 weeks while we made the transition. I spoke to five storage building locations that offered the first month free on a month-to-month lease. I ended up choosing the location nearest our office who actually offered a 600 square foot space with the first two months free. I did take the insurance policy they offered but even so we ended up paying less than $30 to use that space for almost two months. It worked out very well. We’ve found these two tips very useful in the moves we’ve been involved with recently and we make an effort to share them with our buyer clients. I hope you find them useful and share them with others also!